Donald. 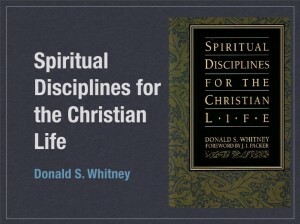 S. Whitney recommends six facets to Bible intake: Hearing, Reading, Studying, Memorizing, Mediating and Applying. On Bible Reading his three suggestions for effectiveness are: 1) find the time, 2) find a Bible reading plan and 3) find at least one word, phrase or verse to meditate on each time you read. God created Adam to be like Him. God created Adam to live forever. God created Adam to rule. Adam needed knowledge to rule. Adam’s knowledge came from God, and accorded with God. The tree = Adam could know good and evil by himself.